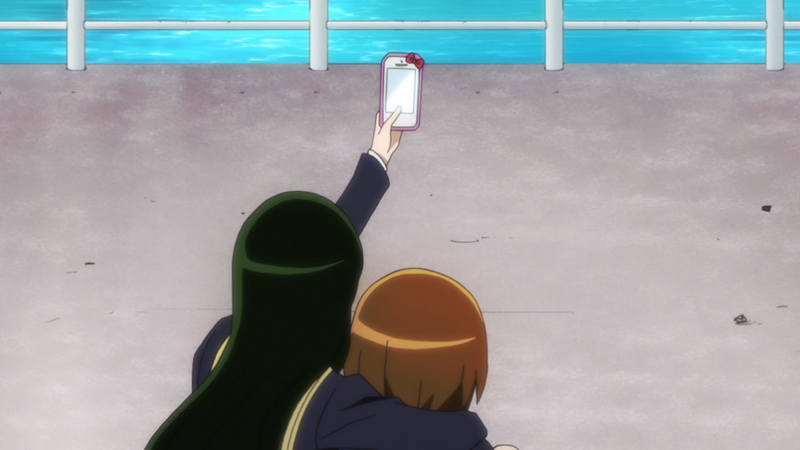 They even take selfies in anime. They are only 2 years behind popular culture now. 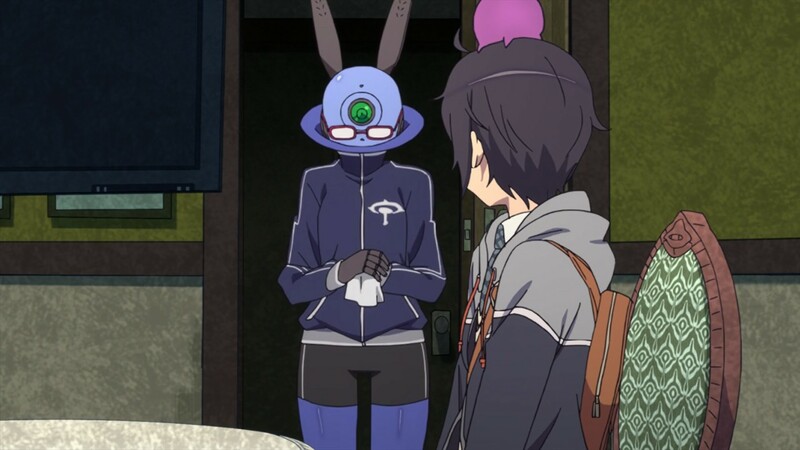 From the very start, Nobunagun is pretty much obsessed with one thing. Inflicting as much violence on the screen as possible. It doesn’t matter if it is mental violence, violence against the color palette, actual grim deaths on screen; there’s no holding back here. But is it actually any good at it?